Segment your customers and guest visitors by various parameters. 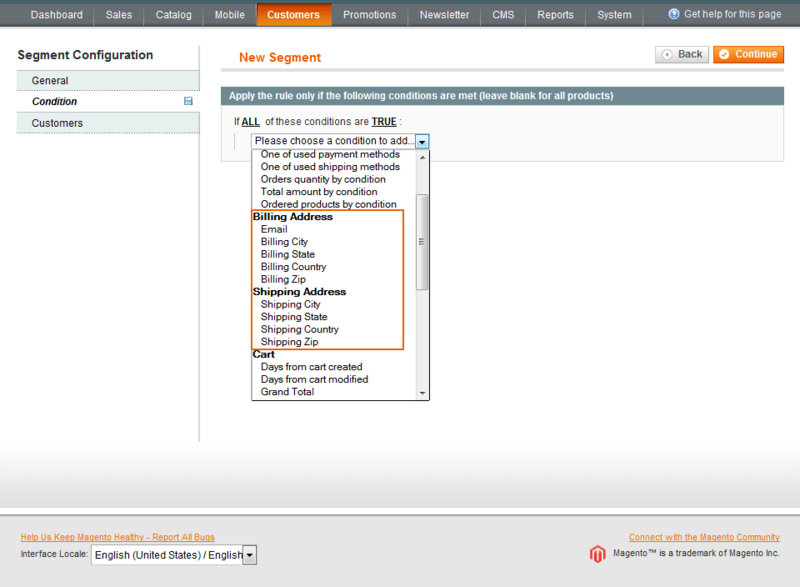 Export segmentation results for careful analysis and take advantage of targeted marketing campaigns. No successful marketing campaign can be launched without thorough customer segmentation. It allows online merchants to learn more about their target audience and boost sales by providing different client groups with relevant offers. Magento customer segments extension enables you to arrange registered customers and guest visitors in numerous groups according to various criteria like date of birth, gender, payment and shipping methods, total sales amount and many others. With this module you will accurately define your target audience and effectively aim your marketing efforts at particular segments. 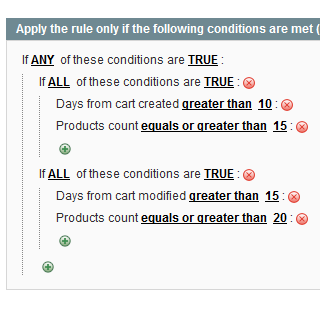 Once the rule is applied you get the list of customers meeting your rule conditions. The list includes customers' names and email addresses that can be used for your Magento targeted email campaigns. 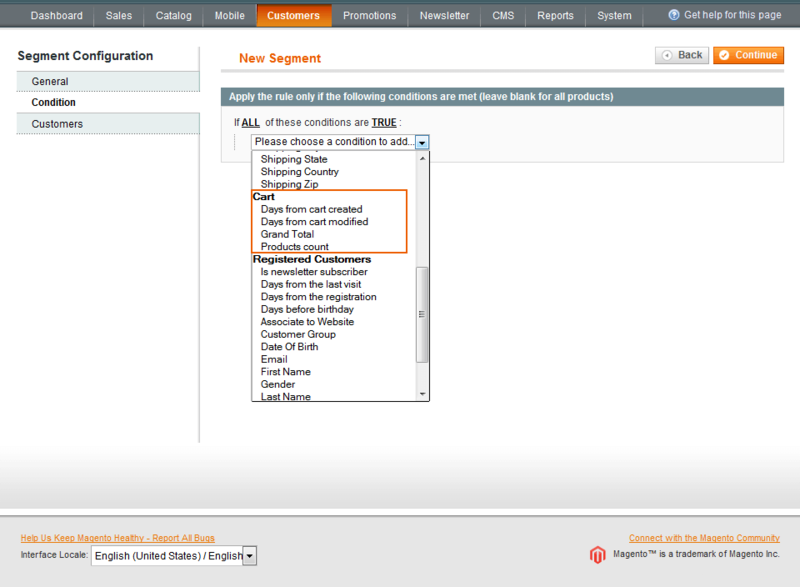 It's also possible to view detailed customer information right from the segmentation results list. 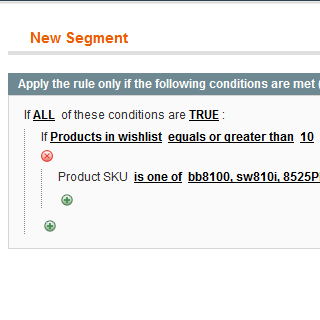 Flexible extension settings enable you to create a great number of rules based on order subselection. 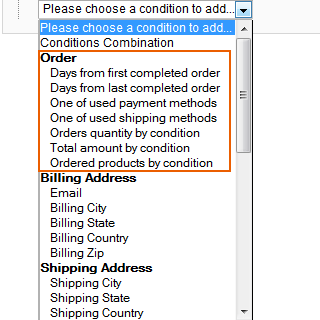 For example, you can segment customers who purchased products with specific attributes amounting to a particular sum (ordered products by condition). 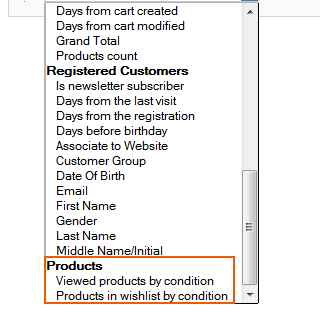 With the extension you can also filter registered customers by the number of viewed products as well as the number of products, added to wishlists. 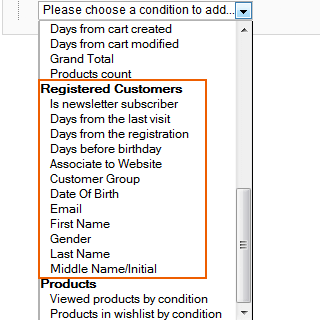 Moreover, for these rules you can specify additional product attributes to get customer database for highly targeted email campaigns. To launch direct marketing campaigns use conditions combinations and create complex segmentation rules. 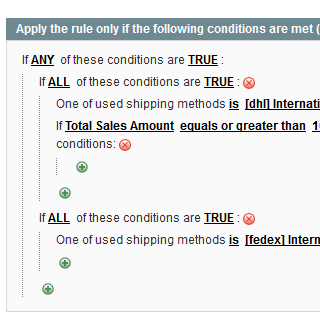 The module offers a great variety of conditions based on order, cart and customer data that can be easily combined according to your needs. 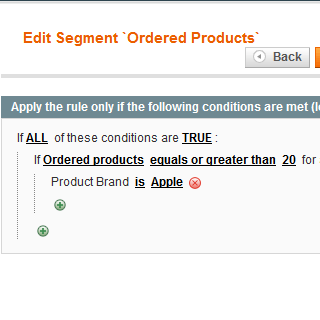 Therefore, you'll be able to carefully segment your audience by necessary parameters just in a few clicks. 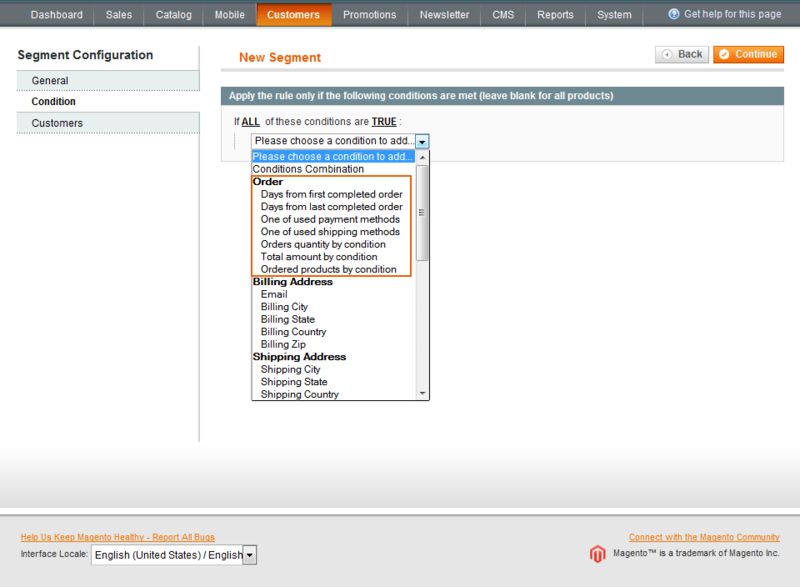 With the Magento customer segmentation extension you can segment not only authorized customers, but guest visitors as well. 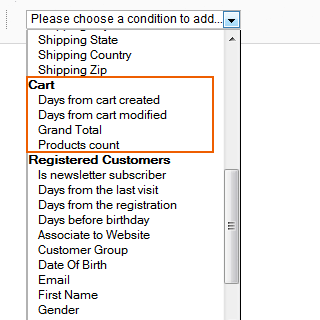 Use flexible module conditions based on cart and order data to properly target your marketing campaigns and turn potential clients into customers. 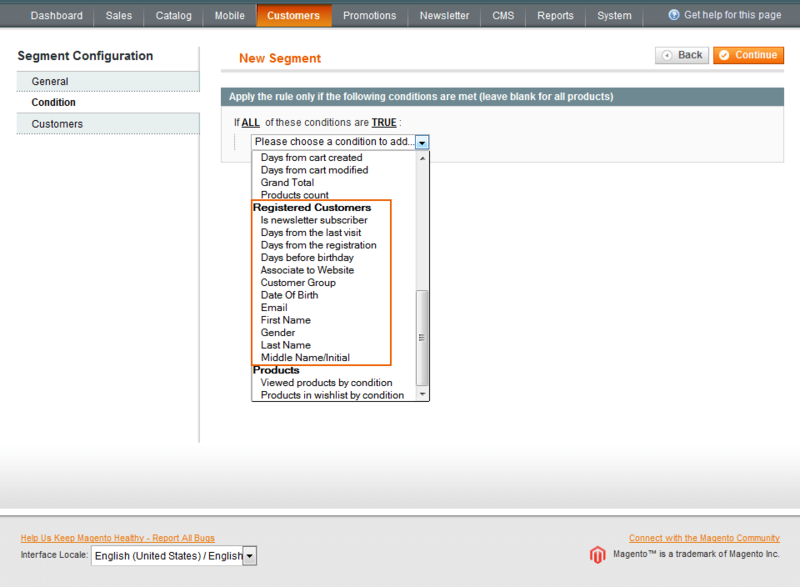 Easily export any segmentation list to CSV or XML files to carefully study the results and use them at any time you need. 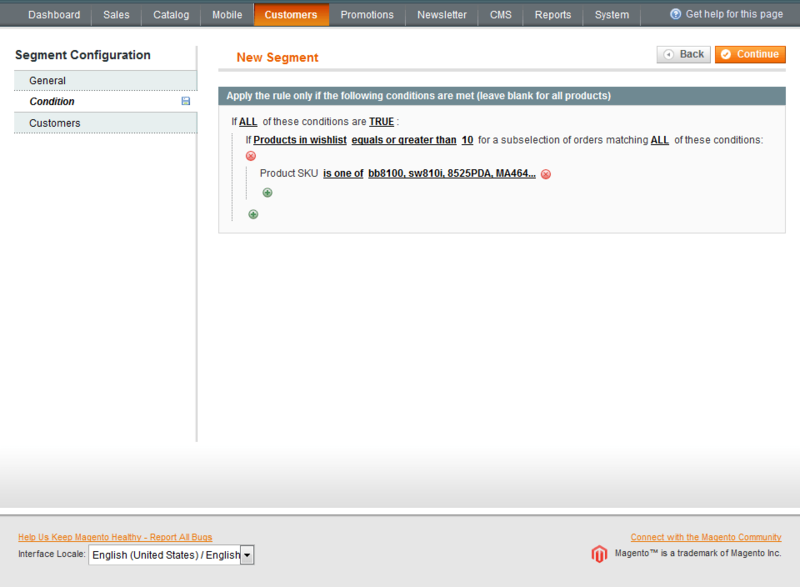 Specify exact time for cron execution to get segmentation lists updated according to your specific needs. 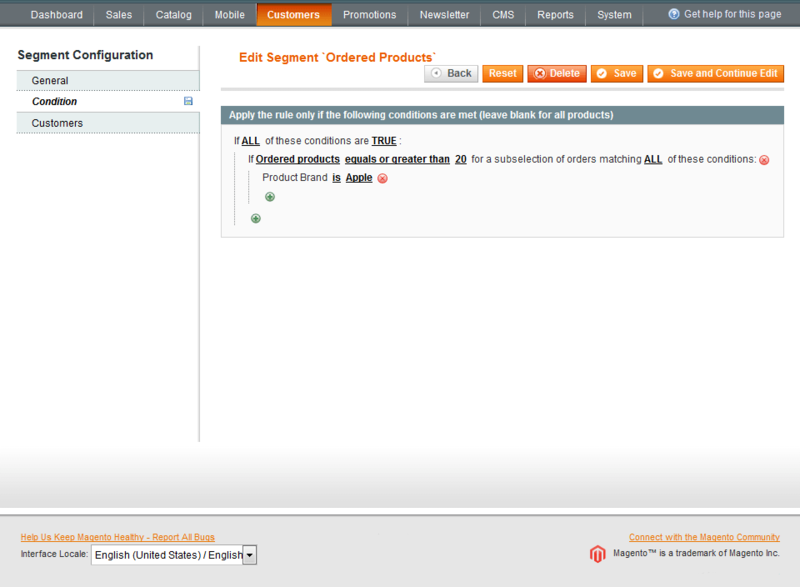 Use re-indexaction to timely update segmets' data. By default re-indexation is run by cron once a day, but you can also re-index segmentation lists in bulk manually at any time. Follow up Email - launch highly targeted email campaigns. Special Promotions Pro - create effective promotions based on specific customer segments. 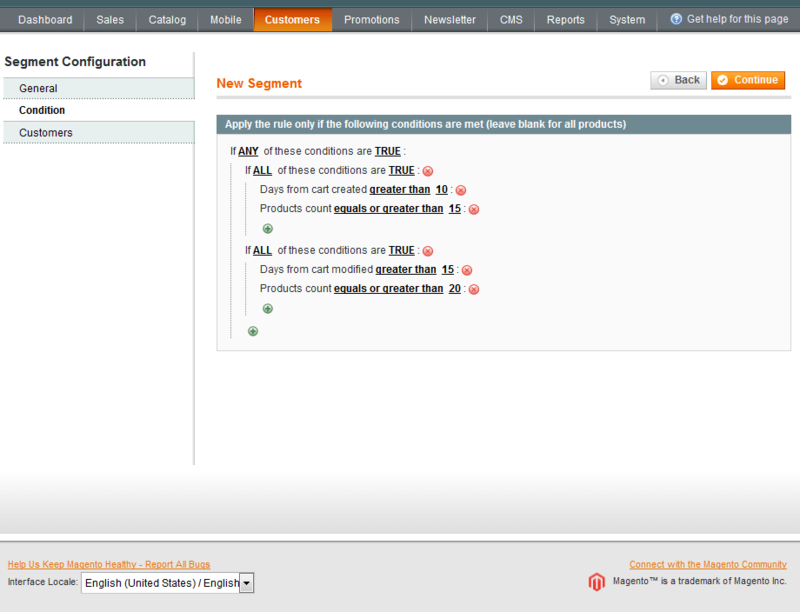 Customer Attributes - accurately segment customers using custom attributes. 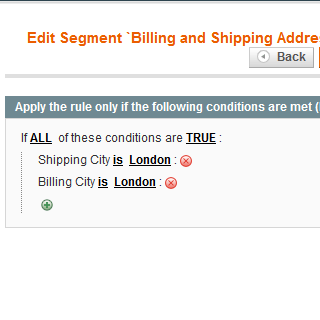 Shipping Restrictions - easily segment customers to create complex shipping restriction rules. thank you! I like it, and it does all i need. Price is some high so can you give a discount for next purchace? Je l'ai essayé cette extension pour le magasin en ligne de mon client qui a beaucoup de catégories. Il est un outil utile pour comprendre le comportement des clients aux produits et catégories. La plupart des autres outils donnent un aperçu seulement au niveau du magasin. 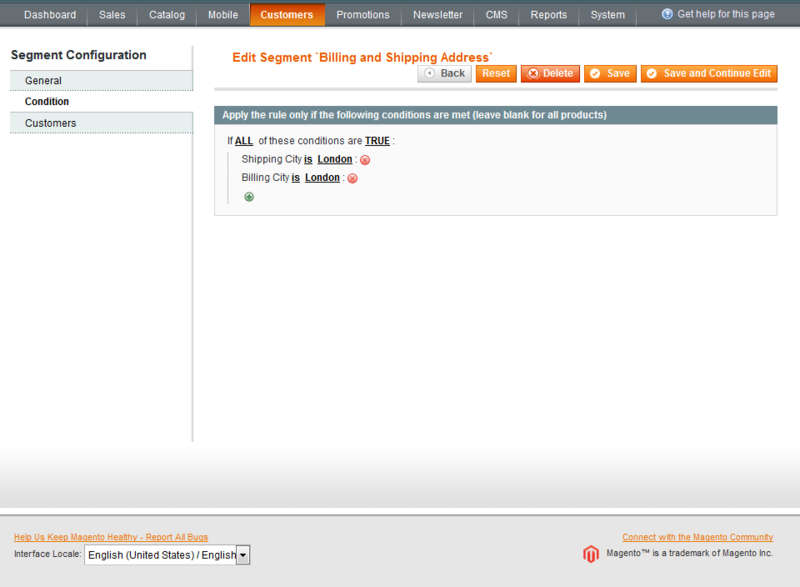 I’ve created a customer segment based on customer info. It founded something, but I’m sure that I have a lot more records of this kind in my store. 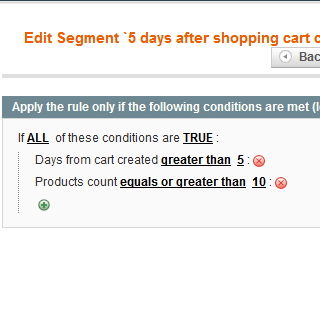 Segmentation based on cart condition works perfectly though. I don’t understand what causes the error, so I committed a support ticket and developers are working on my problem now. Hope it all will be solved soon. I think this extension is very useful for marketing purposes. 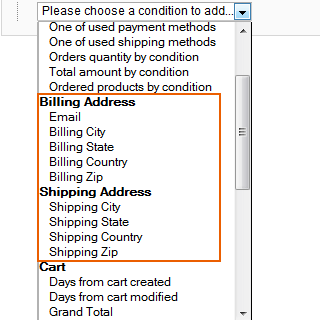 It enables you to create various lists based on an endless number of different parameters. We combine this extension with Follow up email to get a killer-combo. Creating targeted mailing lists could not be easier. If you are serious about your marketing strategy and encouraging customer loyalty, you definitely need this extension. Be prepared that configuring the ext is not all that easy. It will take you some time to figure it all out. The result is certainly worth the effort. This module just shines. We are truly satisfied with it. 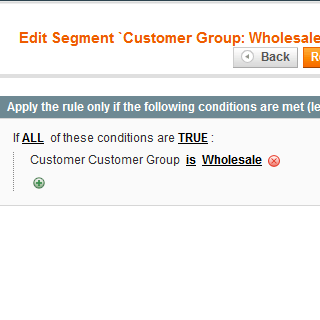 The flexibility of segmentation rules is impressive. I’m playing with module settings for about 2 days now, it’s not completely configured yet, but I already love this tool. 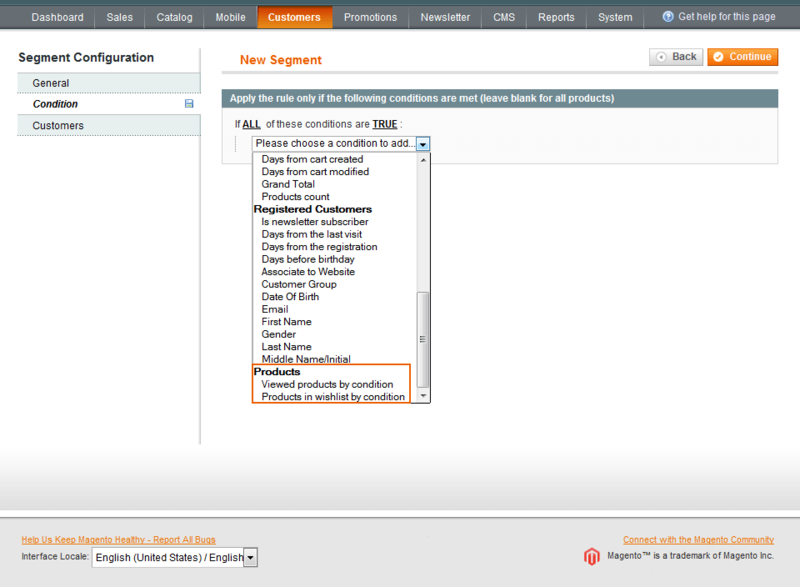 The possibility to export segments with certain conditions is great. Perhaps we will be using exported files with other software. With this tool we can export necessary segments based on different rather flexible rules to use them for our marketing needs. We use it together with amasty follow up mod and haven’t had any grave issues so far. But frankly speaking, we hoped to get more options for this price. I do recommend including analytics in the new mod versions. We do need to segment customers according to their source type and device type and I bet this functionality will be highly appreciated by the overwhelming majority of marketers as well. At first I thought that this ext is really difficult to use, the interface seemed frustrating. I really needed to identify my customers and assign them to certain groups though. I’m planning to develop different marketing strategy for each group in the future. My need compelled me to spend the time and just deal with it. Now I admit that this tool is useful, but it would be a lot better if it was easier too. Really powerful extension that brings your promotional scenarios to a new level. 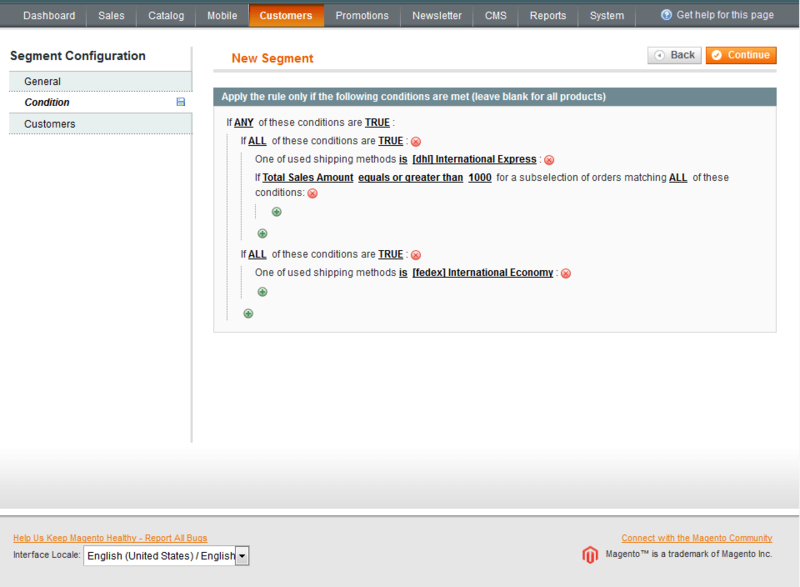 It allows almost every kind of segmentation that you can think of. 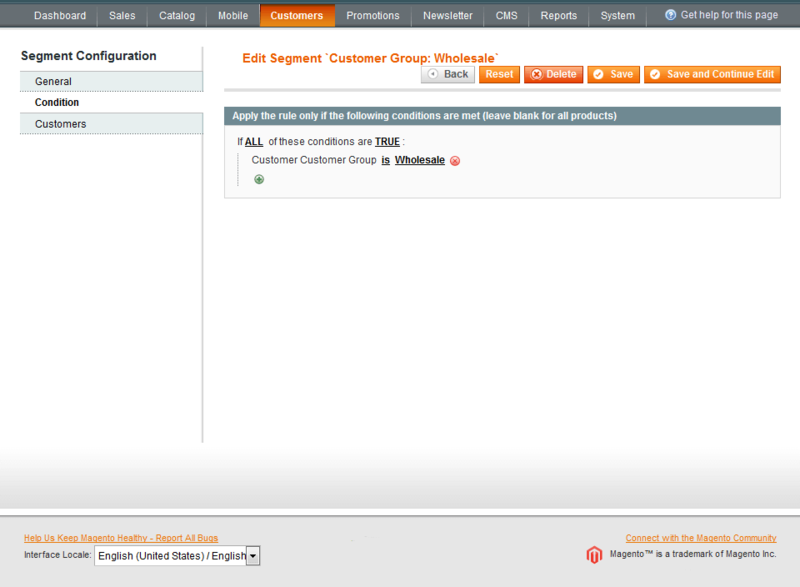 The main feature that distinguishes this plugin from lots of similar ones is that guest visitors can also be segmented. It is really important ‘cause many people prefer to just come to the store and get what they want without creating a personal account. Data mining can take hours of boring routine work, now it takes only a few clicks. I recommend it without any doubt. Great marketing tool! Must know how to use it. It's a great tool for marketing purpose, however one should know how to use it. The extension helped us to create a number of lists for e-mail marketing.